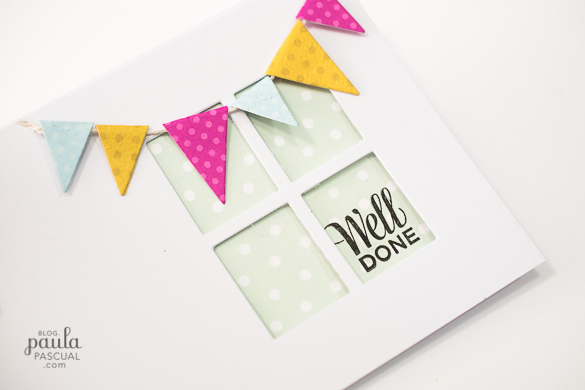 Today I wanted to share how I made a quick and simple window card using the Cupcake Box Thinlit plus die. 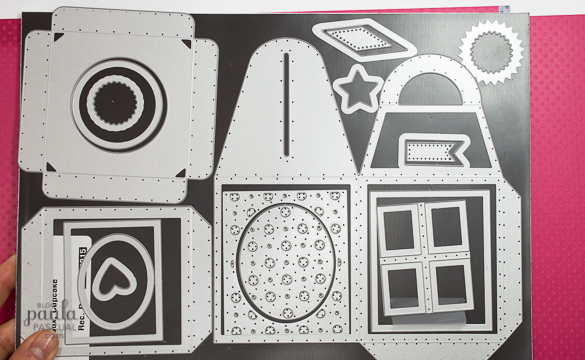 This the whole set of dies that comes in the Cupcake Box Thinlit set. 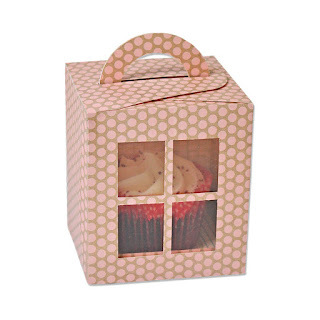 Once that you make up the box it looks like this (above) the window is optional, but looks pretty cute. 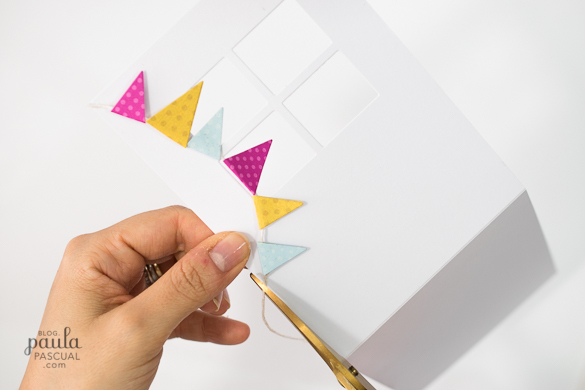 I did a full step by step tutorial on how to assemble the box on the Sizzix blog here. 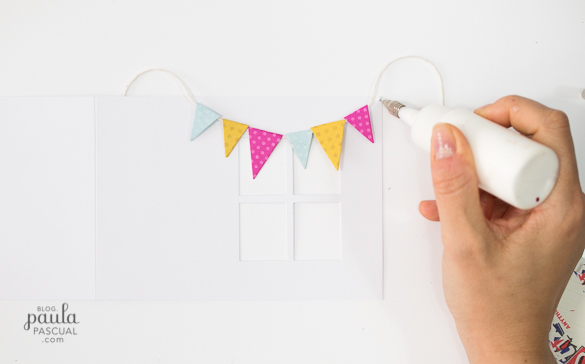 To die cut the window, simply select the die and place it in your chosen place and secure it with low tack tape. 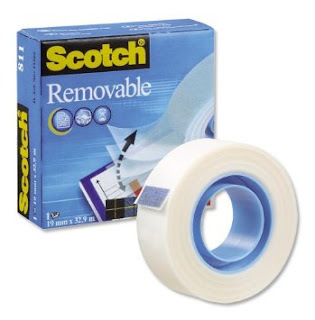 I only use 3M Removable tape as it's the only one (and I have tried loads) that almost never damages the card or paper even after going through the die cutting machine.I strongly recommend to get this one! Its always in my tool box. 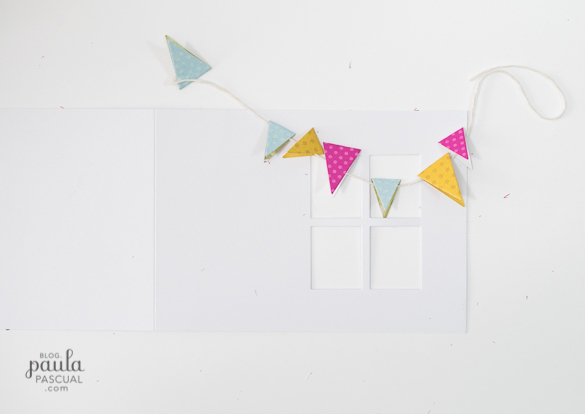 Once die cut the window, I die cut the little bunting. There are two sizes so I die cut each color in both. I then folded them in half, arranged them and thread Bakers twine through. 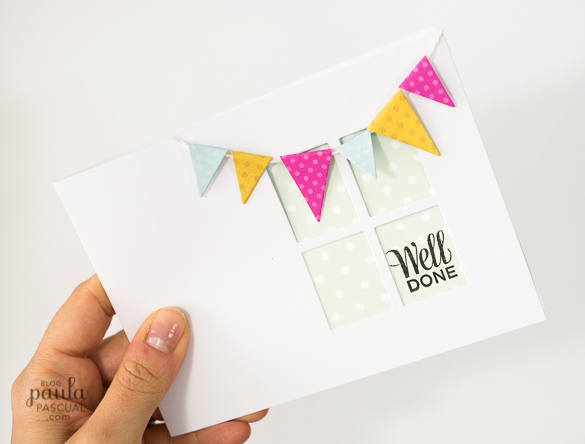 I added a small foam pads (I mostly use Stix2 strips of foam and then cut to size) to only the first and last bunting and then I attached it to the card. I secured the ends of the Bakers Twine with Tacky Glue. Once dry, I trim the excess. 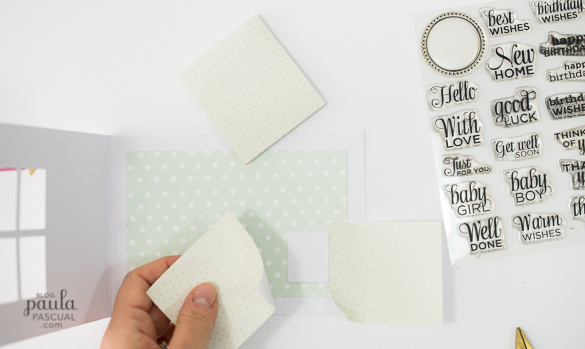 The glue both secures the twine and seals it to prevent fraying. 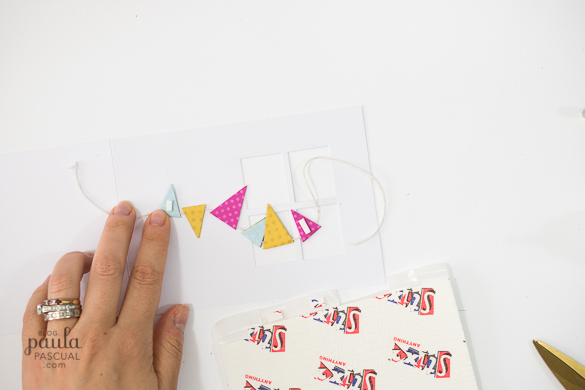 Then I die cut a rectangle from the Rectangles #2 which is a perfect A6 mat and layering set. 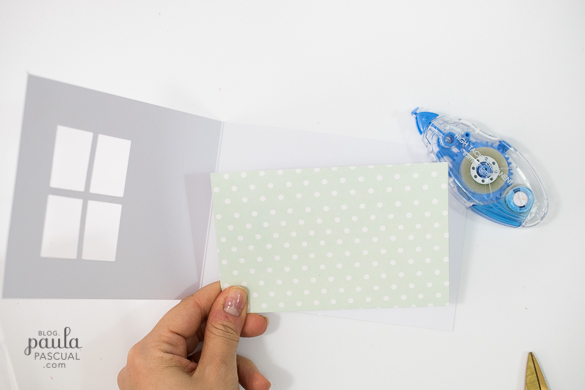 And attach to the card. Then I selected my message from my Small Sentiments Everyday Messages. As the stamp is ever so slightly larger than the aperture, stamping through it wasn't and option so here is how I made it to be precise. 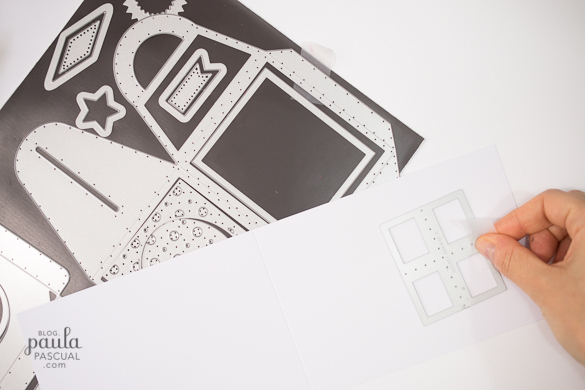 I used the left over rectangle from die cutting the window and then place in the aperture. 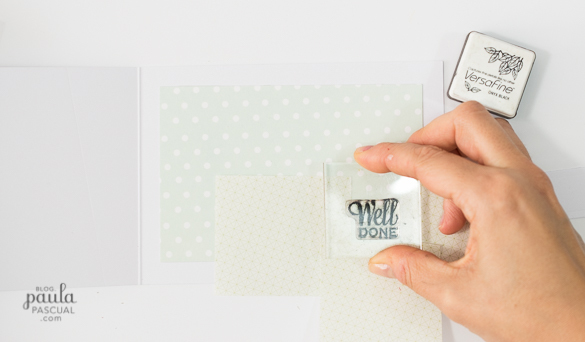 I used sticky notes round to mark the place where the stamping needs to be and removed the white rectangle. 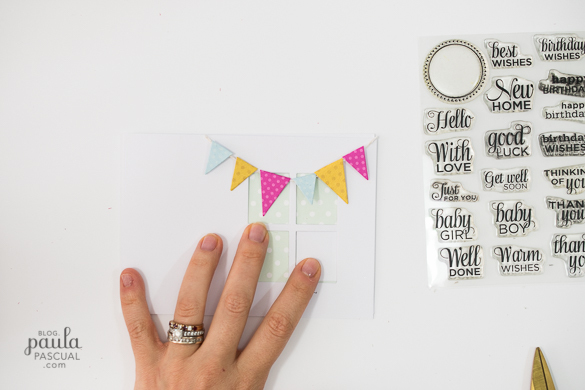 Then I stamped the message in the card using the post it notes as a guide. 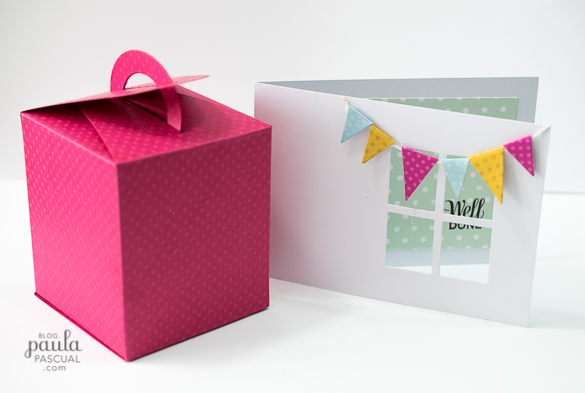 And here it the finished simple card with the Cupcake made up box.